A story about Apple talks about Apple is like this: iPhone is globle and it is extremely well-known in Japan, yet everyone knows, and being a fan of Apple is so much normal, by using its product like Apple iphone, apple note book, apple ipod ect. 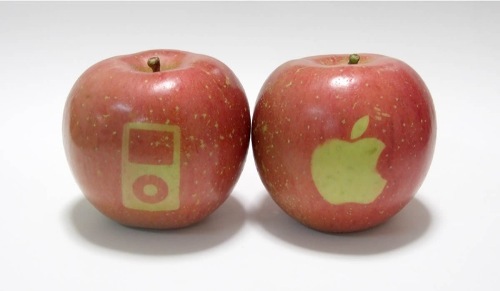 But one very avid Apple fan, decided to show his love for the iPod and Apple in a different way. 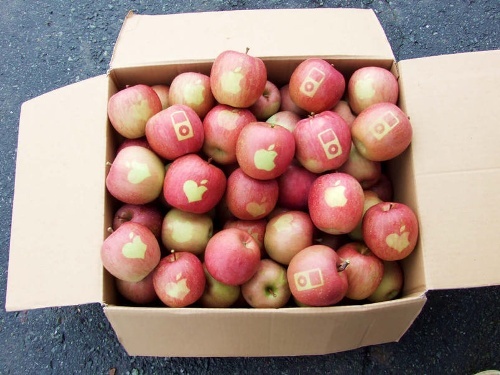 An owner of a Fuji apple orchard printed up custom stickers of iPods and the Apple logo. 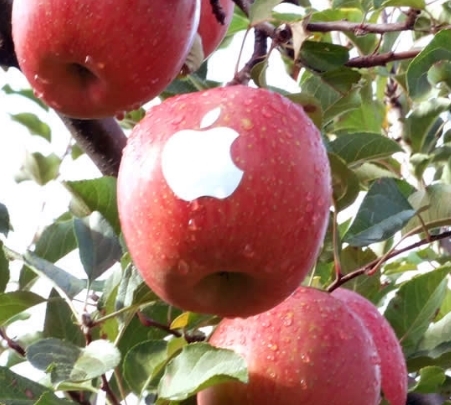 He then put the stickers on his Fuji apples while they were still young and on the trees. A month later after the apples had matured, he removed the stickers. As you can see the lack of sun reaching the apple cause them to keep the stickers original design.